Yesterday was the first day of spring, but you wouldn’t know it with all the snow and cold. I took out the trash this morning and there was no hint of spring in the air or on the ground. Brrrr. But I know it will be here soon enough. The warmer days. The buds on the trees. The tulips starting to pop up from the ground. Soon. With the onset of spring, I always start bringing back lighter food choices. I don’t want the heartier meals of fall and as winter much. I’d rather eat more salads and drink more healthy smoothies. All of this, of course, packs one heck of a nutritional punch each day. Are you noticing you are having different cravings? Are smoothies even affordable? If you make them yourself they are far more affordable that buying one when out and about. Be prepared: Bring one with you. I’ve been reworking some of the older posts that used to populate this blog, making them healthier – testing them out – and I’ve started to put some of them back. I’ve also posted a couple of new ones. And I’m planning to experiment with a few new recipes. If they turn out well, I’ll be sharing them here on the blog. I don’t have a lot planned for spring. Once the weather turns nice, I’ll be out and about more: Walking, taking pictures. I may picnic in the park once or twice this season. Maybe ask a few people to join me one time, and use the other to work on writing related things. It’s also almost time to switch to iced mint tea when writing at Aroma Joe’s. I love my tea iced. I’m working on a new story series while there, about stalkers. I’ve published a few other stories this winter. If you care to check them out, I’m sharing them below. Something my daughter did for her husband, both Harry Potter fans, was to create for him a Harry Potter themed birthday party. It took her days to prepare for it. She invited a couple of his friends. He and Little Man enjoyed it, as did his friends. My daughter, being pregnant with her second child, tired herself right out with it all, but she said it was worth it. She’d spent three days cooking for it, as well as working at her job. I also wrote a short piece on the USDA Thrifty Food Plan for January 2018. Want to know how your family stacks up? Find out what you have to spend to be considered a thrifty shopper. I know that sometimes, even though we want to eat healthy, we simply do not have the money to do so. I try to keep the recipes here on the blog affordable & healthy, but at times we need recipes for the ingredients and foods we can afford on an even tighter budget. I’ve got your back! These frugal recipe cookbooks are on sale at this time. As Always, Frugal Ways to Save Money in the Kitchen + Frugal Recipes for the Health Conscious costs nothing. Enjoy! And Check out Keeping the Single Mom Home: The Kitchen for $1.99. Enjoy the recipes, books, and articles in this newsletter. Again, I’m so happy to be writing Frugal Recipes Happenings back here on the site. Here are the fiction books I indicated I’d share. If you like reading fiction, but don’t have a lot of time on your hands like so many these days, these are short stories that can be read quickly. Find out about my other books + over on the fiction blog! Some of you will remember when I used to publish this newsletter right here on the blog. It was a long time ago. I’ve tried two other platforms for publishing since then, but neither was the same as posting straight to this blog. So I am posting here again. It feels more comfortable. The way it should be. 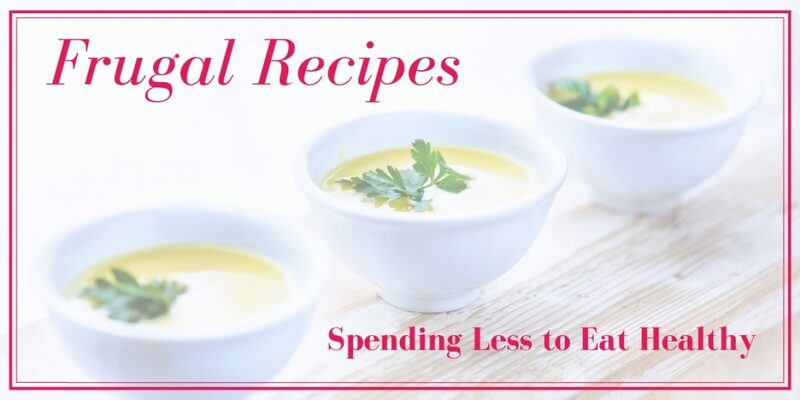 I will be combining all the old newsletter issues and other items into an ebook to offer free to anyone who wants it, like I did with Frugal Ways to Save Money in the Kitchen + Frugal Recipes for the Health Conscious. (Grab your free copy if you haven’t already!) I’m not sure when the new eBook will be ready, but I’ll announce it here on Frugal Recipes when it is. The temperatures here in Maine have been atrocious, making walking outside impossible. We’re finally getting a break from the extreme cold, though, so I have had a couple of opportunities to do some walking. Thank goodness! Walking always helps me to clear my head, and it helps to get the creative juices flowing. It refreshes the soul. Some of the ideas that came to me during the first walk after that cold snap had to do with cooking and other kitchen related things. I have new recipes I want to experiment with, some crafty things I would like to do, and some nutritional things I want to learn more about. That’s also when I decided to move the newsletter back here, and create a freebie for you all out of the old issues. And please remember, I’m always here to offer up advice when funds are low and you’re not sure what to do.I love hearing from you. The holidays were a stressful but fun time. I had to work, but I also found some time to spend with my family. Skye had moved back home in October, and Zowie and Devan brought Little Man for a couple of nights just before Christmas. Unfortunately, with my work schedule, I was not able to keep Little Man over night during their stay – which is something I always try to do. While I missed having our little slumber party, I still got to spend plenty of time with him. And before he left on Christmas Eve morning, he told me he loved me and wanted to stay with me forever. Awww ❤ My heart just melted. We all went to my parents place on the 23rd, to celebrate with other family members, and then we moved our little party to my bosses office at work for my evening shift. The inn is not busy this time of year, so we were able to open our gifts to each other without too many distractions. Zowie made everyone homemade marshmallows and homemade hot cocoa mix. Both were wonderfully delicious! I take full credit for her cooking and baking abilities. My stepfather made his baked beans (my favorite! ), and wieners (haha), and he and mom made fudge and snickerdoodles, for everyone to have have at their house. They even bought Governor’s rolls. Yum! I brought a vegetable tray, purchased at Walmart. Unfortunately, I had to work so much at the holidays that I did not get to enjoy the baking and cooking. But I sure did have enough leftovers of beans, rolls, and vegetables to last a few shifts at work. However, the bestest and I did have our baking day earlier in the month. This was our third year. We bake for whoever we will be seeing during the few day period after the baking date. For me, this was my coworkers, my sister, and everyone at Katie’s house. Together Missy and I put together baskets of goodies for a couple of long-time friends. One went to my friend Bob, who has been a friend to my family maybe longer than I have been alive. The other was for Dwight, best guy friend of the bestest’s since she was little. We spoiled them. I also dropped a tin of goodies of to my friend Jesse at work on our way to back Orono. She had worked for me that night so I could have the entire day for baking, and I wanted to show her my appreciation. I knew lemon treats were her favorite, and that she loved no-bakes, so I made homemade lemon pound cake for the first time, and no-bakes – along with homemade gingerbread, and cookie bars. Have you noticed that the holidays are very food-centered? Even our work party centers around the food. This year, our boss took us to Governor’s, where they serve home-cooked style meals. The food was so good. The previous year there were just so many bad-for-you foods, that even my mom commented that it was too much. So many of us didn’t feel good after a month of eating those foods, that I made the decision to not eat as much of the junk stuff this year as I used to. I’m happy to report that I came out of the holidays season feeling much better this year. While I didn’t give up the treats entirely, I did consume much less than in previous years. Have you changed the way you’ve been eating at the holidays? I’m always trying to eat healthier. I love how I feel when I’m eating good-for-you foods rather than junk and overly processed foods. How about you? With winter in full swing, I wanted to share some recipes with you. This tasty beef soup recipe will get you started. And why not enjoy some hot mulled cider or festive hot cocoa after spending a day shoveling. It’s definitely the time of year for soups and casseroles, and a good time to experiment with your own versions of both. I’d love to hear the results! Heartier breakfasts are also welcome this time of year. Try pancakes with apple-maple syrup, an apple and sausage or banana and sausage oatmeal bowl, a corned beef and potatoes one pan meal, or a turkey and sausage one. Egg scrambles are delicious as well. Try a turkey and squash or a turkey and tomato one. I also have a couple of omelet recipes you’ll like: Zucchini and carrot, and a spinach option. I recently added a couple of recipes that will go nicely with many desserts. They use coconut cream as a base, and you add flavoring. I’m still experimenting with this one, and I figure you might want to do the same. Try the vanilla coconut cream and the peppermint coconut cream, and then try other flavoring options. Let me know how it goes! A few of the things I’m using regularly in an effort to eat in a healthier way. Healthy eating is different for each person. My way may not be right for you. It’s great if you have a doctor and nutritionist to work with. I can’t afford that, so I’m trying to figure it out on my own. I know that when I am eating about 80% Paleo or Whole30, I am losing weight and feeling great. That is what I’m striving for. I won’t lie though, it’s not always easy on my budget. What food adventures will you take this winter? Let us know. P. S. I have a few things going on this year. First of all, I’d like anyone interested in creating the life of their dreams to check out my site at shannonlbuck.com. The site is called Create Your Success and while it could mean career-wise, it actually deals with all aspects of life. Second, I have been writing fiction for some time now and I sell short stories on Amazon. If you’re a reader, I’d sure appreciate it if you would have a look and see if there is anything you are interested in. I’d also appreciate reviews! And third, I also have a fiction blog you will enjoy, and would love it if you would sign up for my fiction mailing list to be one of the first to know about new releases, as well as letters about my fiction writing. Thank you so much!